More and more companies these days are looking to get involved with assisting those in need around them and getting their employees more engaged in these volunteer efforts. There are multiple benefits of adopting a culture of volunteerism. Not only does it offer much-needed assistance while increasing the company's exposure in the community, but it also creates a sense of satisfaction for the employees. This, in turn, can increase their overall output. After all, happy employees are productive employees. It's truly a win for the companies, not to mention the wonderful impact on many deserving nonprofit organizations. For these efforts to truly be successful, it needs to be easy to set up, track and measure. It also needs to be simple for the employees to log their hours. If it's too cumbersome, nobody will use it. 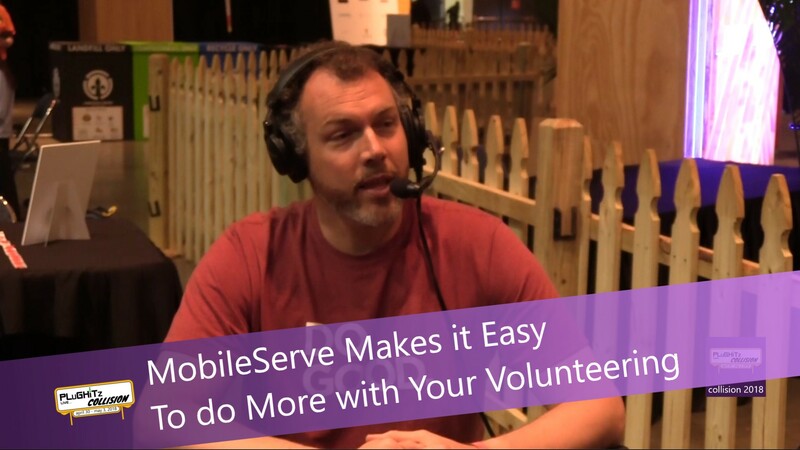 MobileServe took all of this into consideration and has built the perfect solution to help businesses and their employees reach new heights in their volunteer efforts. CEO Ben Reno-Weber gave us the full rundown on what they have to offer. MobileServe is a new platform offering smart volunteer tracking that is useful to both businesses and their employee volunteers. The company believes that it should be easy for you to measure your organization's social impact. And that logging these service activities should not be annoying to the volunteers. With this system, the employees are able to log their time with just a couple of taps. This easy to maneuver tracker offers more reliable verification options and more accurate reporting with quick and easy stats that include economic impact. Also included are searchable, exportable reports and infographics. All of this eliminates the need for archaic spreadsheets and paper tracking. The volunteers can easily create & verify service logs and the employer has everything they need in a central dashboard. To learn more about implementing this easy to use platform into your business, be sure to watch the full interview and then check out their website.